Samsung's latest Galaxy handset, the Prevail, lands on Boost Mobile's network for $180. Does this little Android phone have what it takes to compete with the big boys? Find out in Phone Scoop's full review. 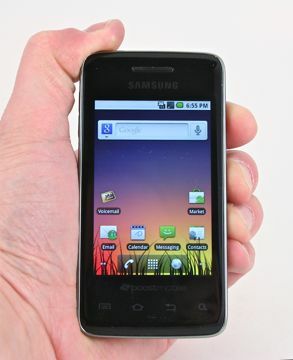 Though it wears the Galaxy name, the Samsung Prevail is not part of the Korean company's line of high-end Android devices. Rather, it's a much simpler smartphone for Boost's prepaid network. What it may lack in style and flash, it makes up for in power and usability. Can the prevail be made out of a mobile hotspot? T think it's called tethering? 👀 Like the other galaxy devices? I believe this is the first 2.2 phone that does not have hotspot capabilities. As far as tethering to a computer via USB? I'll get back to you on that. Can the author (or anyone else) comment on GPS performance? This has been a fatal flaw on most of the Samsung Galaxy S devices, but perhaps not on this one since it has little in common with the others. What did he mean by that, is boost now using CDMA on some on its phone instead of IDEN? ?